Add Starfire, the Tamaran Princess and member of the Teen Titans, to your collection! Part of the Earth One Universe, this Starfire design is based off the classic artwork of George Pérez. Collect all your favorite DC Universe Characters in pin form (sold separately)! Perfect for wearing around on your clothes or your bag, these pins are sure to be a hit. 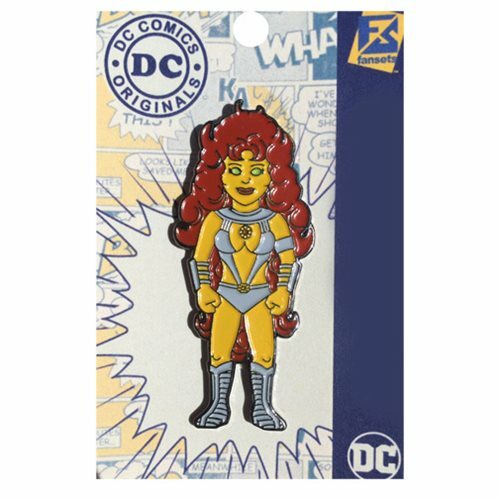 This DC Comics Classic Teen Titan Starfire Pin measures about 2-inches tall.